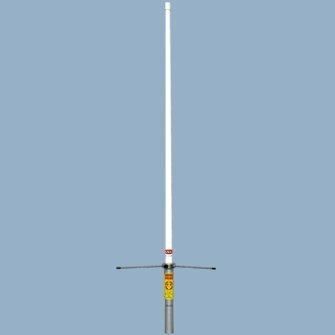 1pc DualBand Base Antenna for 2M/440 Dual Band Amateur Radios. Can Be used for Either VHF 2M, UHF 70cm, or both bands! Approx 4ft tall, Handles up to 300W. Gain is 3.5dB / 6dB. Color May vary - Black or White. Has U-Clamps for mounting to an Optional Mast Pipe 1.25-1.5" Diameter . Accepts Coax cable with PL-259 Connector. ( Mast and Coax cable not included). Genuine ANLI Brand Item. * Can Be Used In On Roof, Attic or Indoor/Outdoor! Approx 4ft Tall! * VHF/UHF Dual Band Gain Base Antenna Great for 2 Meter & 70cm Amateur Bands! * Handles Up to 300 Watts, Pretuned, 3.5/6.0 dB Gain! * Includes U-Clamps for Mounting To An Optional Mast Pipe! Genuine ANLI Brand Item! * Accepts Any Optional Lengths of Coax Cable w/PL-259 Connector. If you have any questions about this product by ANLI, contact us by completing and submitting the form below. If you are looking for a specif part number, please include it with your message.